Stanley H. Charap was born on April 21, 1932 in Brooklyn, New York, U.S.A. He obtained a Bachelor’s degree in Physics from Brooklyn College in 1953 and a Ph.D. degree in Physics from Rutgers University in 1959. Dr. Charap was a research staff member at the IBM Research Laboratory in New York from 1958 to 1964. He was at the American-Standard Research Laboratory in Piscataway, N.J. until 1968, when he joined the Electrical Engineering Department of Carnegie Mellon University. He was Associate Head of the Department from 1980 to 1985 and Acting Head from 1981 to 1982. He worked in industry as a consultant to the Westinghouse Research Center and DuPont and spent a summer working at Bell Labs and another at Control Data Corporation. He was Associate Director of the Data Storage Systems Center at CMU from its formation in 1990 till his retirement as Professor Emeritus in 2006. He was also active in the Faculty Senate at CMU. Professor Charap carried out theoretical research in magnetism in solids, ranging from low temperature behavior to Preisach models and magnetic viscosity. The study of magnetic viscosity ultimately led to the prediction of the limit to storage density in hard drives using longitudinal recording. 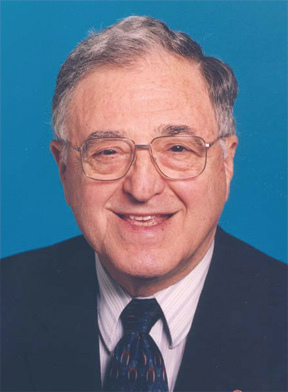 Professor Charap served as an Editor and as Editor-in-Chief of the IEEE Transactions on Magnetics, as chairman of the 1986 Conference on Magnetism and Magnetic Materials (MMM) and of the joint INTERMAG-MMM conference (1994) and held a number of offices in the Magnetics Society, including that of President. Professor Charap is a Fellow of the IEEE. He has published more than 60 papers in technical journals, served as Magnetics Society Distinguished Lecturer and is the recipient of several awards, including the IEEE Millennium Medal, the Achievement Awards of the National Storage Industry Consortium and of the IEEE Magnetics Society, and the Outstanding Research Award of the Carnegie Mellon University Engineering College. This page was last edited on 26 February 2016, at 20:02.